Why Develop a Sustainability Strategy? Rising costs. Increasing regulations. Growing demands for transparency. Businesses are waking up to the reality that they need a strategy to better manage key resources such as energy, water and waste. To see real results, they must go beyond short-term e ciency projects, and look toward a strategy that engages executives, shareholders and employees. The question today is not whether to take action, but where to start. How does an organization with hundreds or thousands of sites, millions of data points, and plenty of opportunity enact a sustainability strategy? 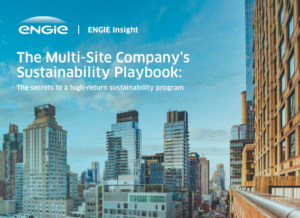 In this whitepaper, you’ll find a framework for each of the 5 foundational stages of a sustainability strategy.